Silicon Review, a leading Business and Technology magazine has named HeartSciences, as one of the 50 Smartest Companies of the Year 2018. “The Silicon Review 50 Smartest Companies of the Year 2018 program identifies companies that mastered the discipline of smartness and stood high among the crowd,” said Sreshtha Banerjee, Editor-in-Chief of The Silicon Review Magazine. HeartSciences is advancing the field of electrocardiography through the application of Wavelet Signal Processing and Artificial Intelligence to develop next generation ECG technology. Wavelet signal processing is currently used in many different industries as an important tool to provide insights and new valuable data related to spectral analysis of a signal. HeartSciences’ MyoVista wavECG Cardiac Testing Device is a 12-lead resting electrocardiograph utilizing continuous wavelet transform (CWT) based signal processing. Patented informatics focus on energy related information rather than conventional voltage-based information. HeartSciences mission is to enable accurate, affordable screening for the early detection of heart disease. 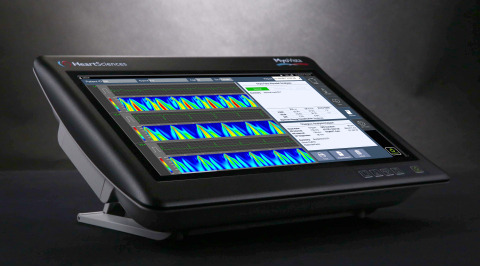 In addition to the proprietary informatics, the MyoVista wavECG device also features the capabilities of a full featured 12-lead resting ECG including analysis using the Glasgow Algorithm, one of the world’s most respected interpretive algorithms. The device has a 15.6-inch high-resolution touchscreen display and incorporates many features commonly associated with a tablet device requiring minimal user training as well as easy and intuitive use. The MyoVista wavECG device is not currently approved for sale or distribution in the United States and is not currently FDA cleared. HeartSciences is a privately-held U.S. corporation based in Southlake, Texas. The following link leads to a multimedia support platform designed to provide rapid download of media elements needed to develop your story about HeartSciences and MyoVista Technology.